The Raven Boys by Maggie Stiefvater, narrated by Will Patton, is a dark tale of supernatural forces, love, sacrifice, and transformation. Blue Sargent cannot “see” like her mother and aunts can, but she can help them in their work. 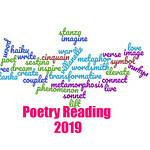 She’s lived a cloistered life under the dark cloud of a premonition that her kiss would lead to the death of her true love, whom she has yet to meet. The Raven Boys are considered the bad boys of the town, and Blue is expected to steer clear of them, but with all things forbidden, destiny cannot be avoided. Gansey, Noah, Adam, and Ronan have been thrust together by a mission, but this mission has long-term consequences for them all, and Blue and her family. Blue struggles to understand these boys and their role in the supernatural happenings that have happened in their town. Her presence among the boys increases the tension between them, as Gansey represents privelege — a privilege that Adam resents. Ronan is the wild card who never follows rules, and Noah is the sounding board, the quiet observer, whose secret is only going to break them emotionally. 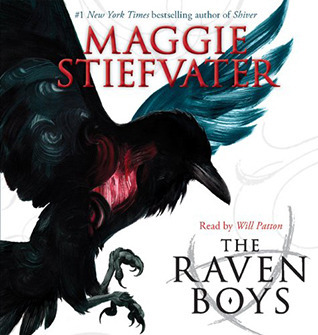 The Raven Boys by Maggie Stiefvater, narrated by Will Patton, is thrilling opening book to this series. While readers are introduced to a surreal and strange world, it quickly becomes addictive. The Raven Boys are mostly sympathetic, but they also have dark edges, and Blue is likely in for a long ride with them — one that will be dangerous. I probably should read something by this author!